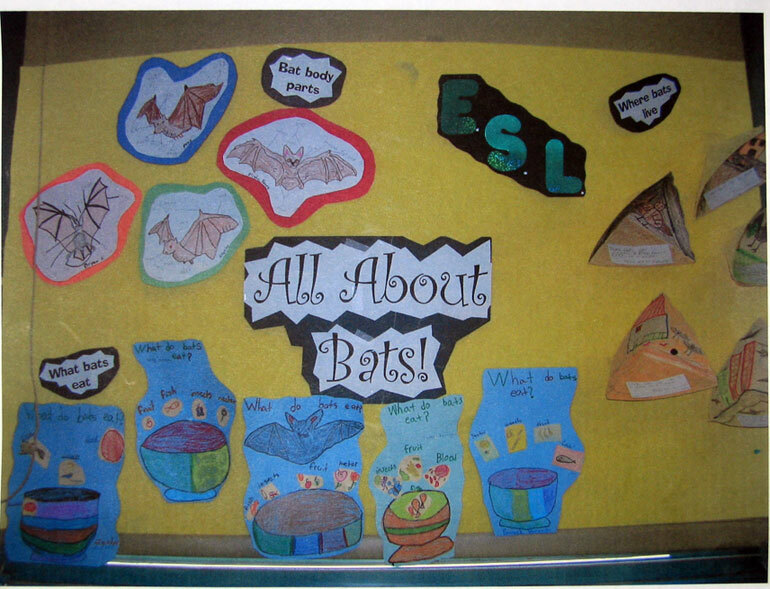 Teachers Network: Adaptor Grants: Bats Here, Bats There, Bats Everywhere! Peggy Robles-Alvarado has been teaching second grade bilingual students for four years. She has a masters degree in elementary education and is currently pursuing a second master degree in bilingual education. 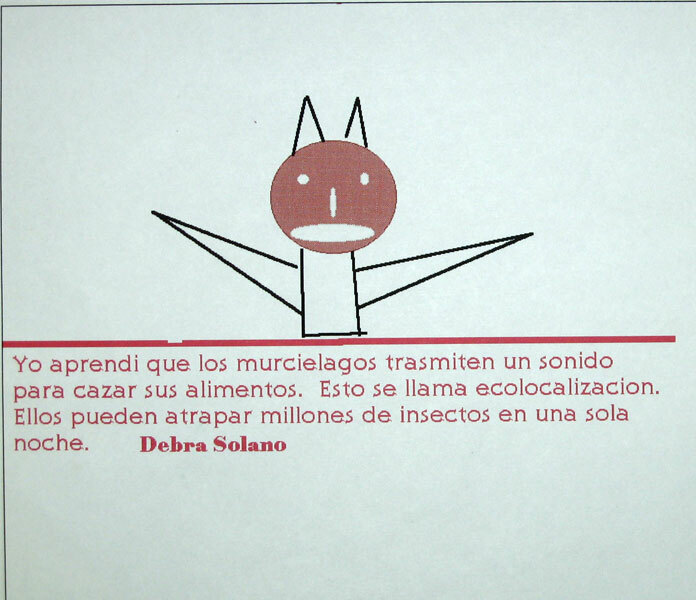 The unit was modified because several lessons and vocabulary terms were taught in the students' native language (Spanish). Other lessons were conducted during ESL. 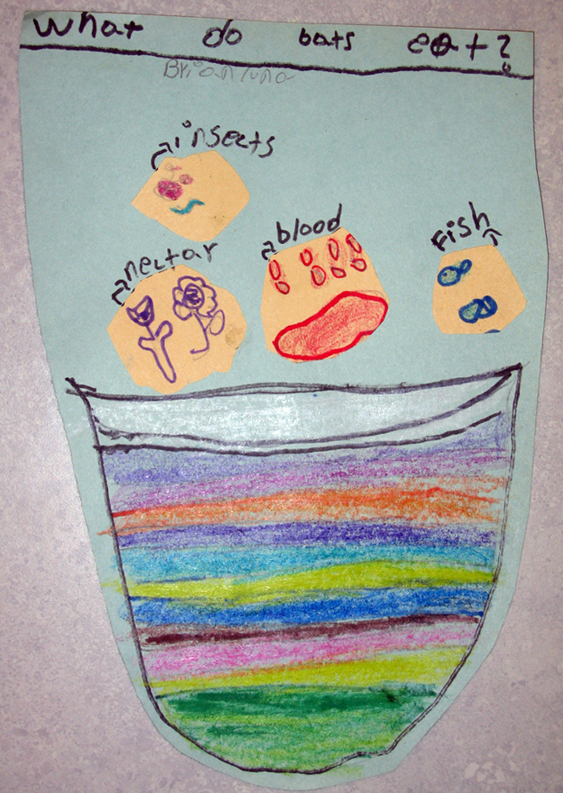 Art activities were also implemented. Read, write, listen and speak for comprehension in English. Increase vocabulary in English and Spanish. Use technology and art to create a slide show about bats. Students used technology to create a slide show using KidPix. They also completed several of the online activities such as the bat word search. The students were assessed using the following: teacher made rubrics, peer evaluation, oral and written presentations and reports. Feel free to modify lessons and activities according to your student's abilities and interests. Many online activities can be printed out if technology is not readily available.